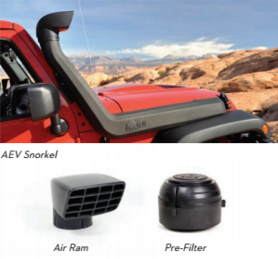 The AEV JK Wrangler Package is a complete system designed to enhance your driving experience both on and off road. 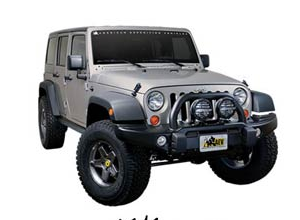 AEV’s Wrangler packages represent the culmination of our engineering and product design. 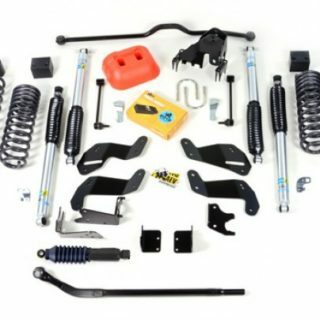 Every part has been designed to work in harmony to create a complete package. 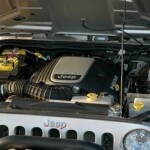 AEV JK Wrangler Packages are proudly made in the USA. 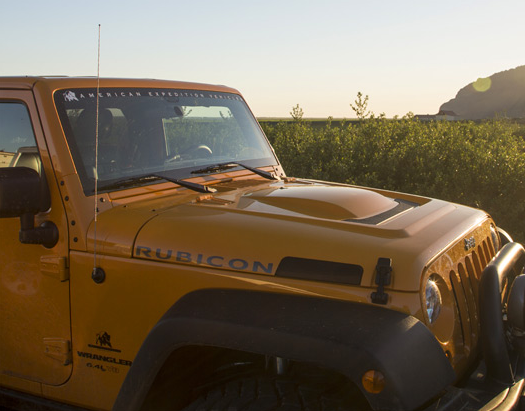 The AEV JK Wrangler Package is a complete system designed to enhance your driving experience both on and off road. 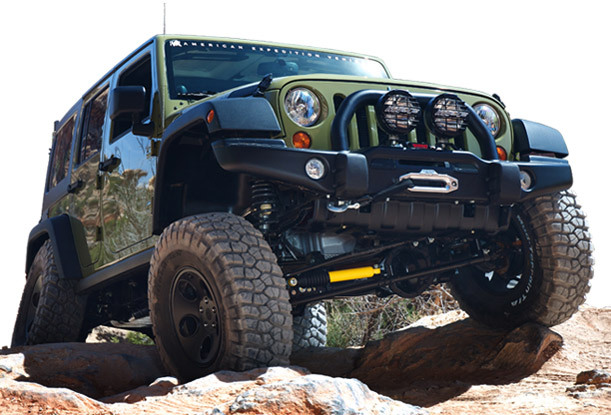 AEV’s Wrangler packages represent the culmination of our engineering and product design. 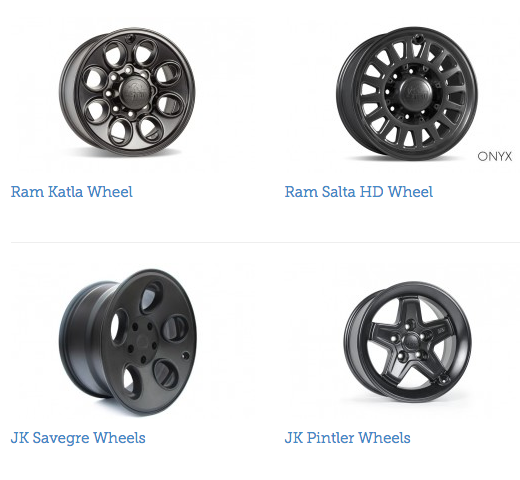 Every part has been designed to work in harmony to create a complete package. 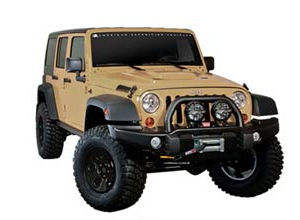 AEV JK Wrangler Packages are proudly made in the USA. 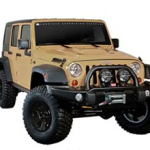 *Estimated package total does not include cost of base vehicle, shipping, taxes or other fees. 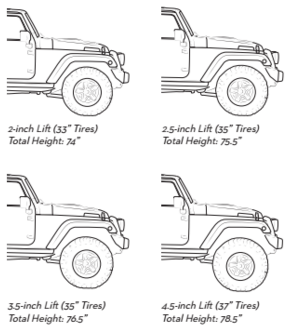 Price and availability subject to change. 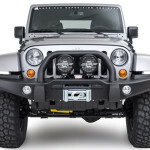 AEV’s JK Wrangler Premium Front Bumper offers unparalleled protection and styling. 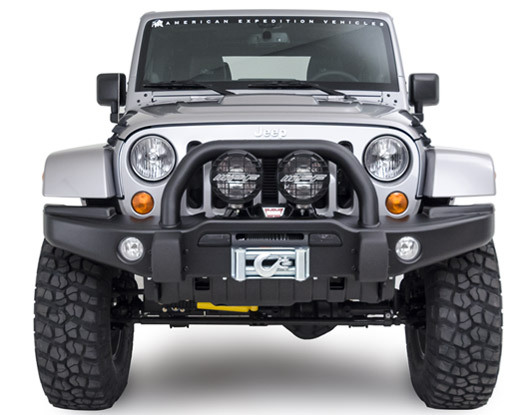 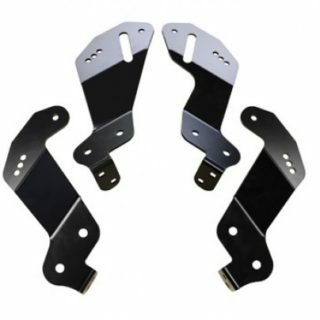 The stamped steel bumper and Front Skidplate can withstand some serious off-road abuse but also offer a distinctive look to set your Jeep apart from the crowd. 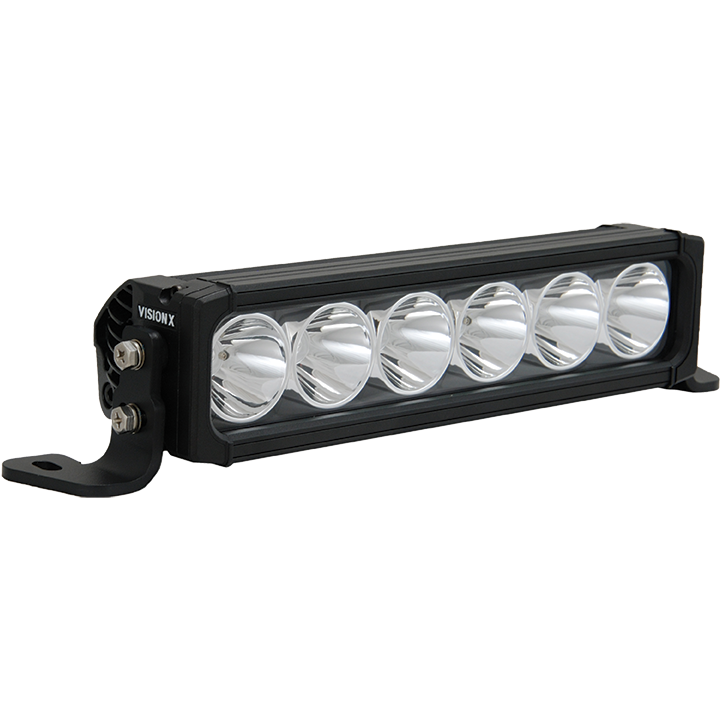 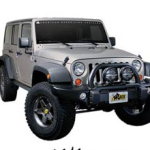 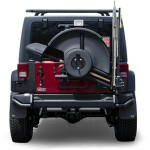 Available WARN winch and lighting kits bring additional trail functionality to your Wrangler. 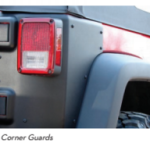 AEV’s Rear Bumper offers incredible protection, multiple recovery points, integrated water storage, and available Splash Guards. 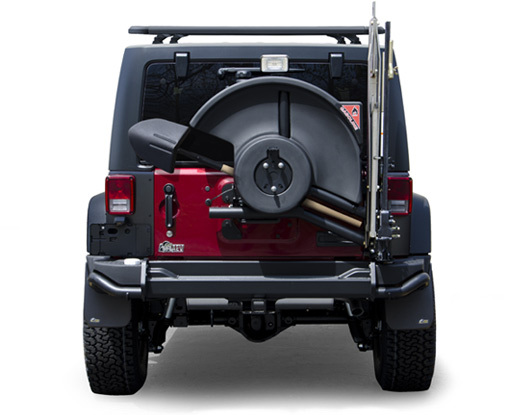 The Tire Carrier allows for a strong, vibration-free way to carry your spare tire and can be outfitted out with optional accessories like the AEV Hi-Lift/Pull-Pal Mount, IPF Back Up Light and the ingenious 10.2 gallon Fuel Caddy. 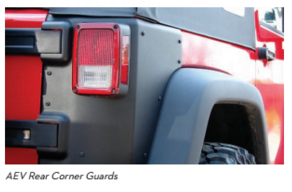 Optional Rear Corner Guards compliment this package and offer an enhanced level of stamped steel protection for the trail. The AEV Heat Reduction Hood not only adds visual toughness with its sculpted curves, it more importantly helps keep your engine bay temperature down and reduces hood flutter at highway speeds. 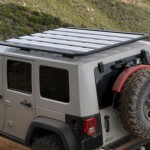 Form and function working in perfect harmony. 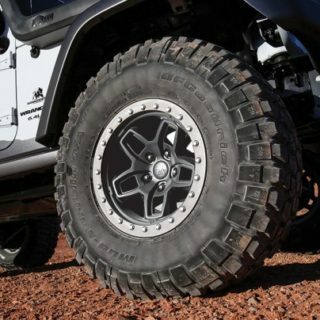 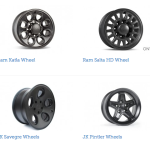 Constructed from high quality aluminum alloy, AEV’s wheels for JK Wrangler are specifically designed for the ’07+ JK Wrangler and feature recessed valve stems to protect against the rigors of off-roading. 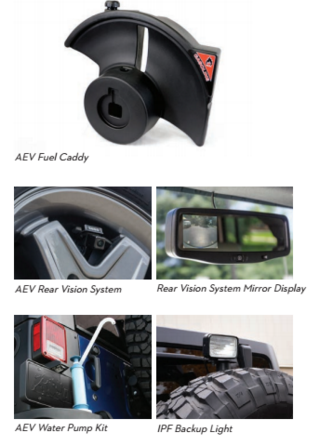 AEV’s high quality materials and attention to detail put into your vehicle aren’t limited to just the outside. 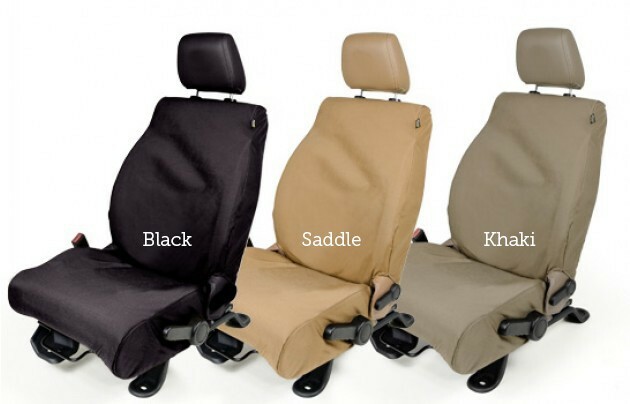 For the discerning buyer, we’re proud to offer additional interior upgrades including seat covers. 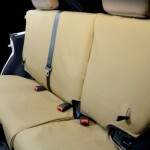 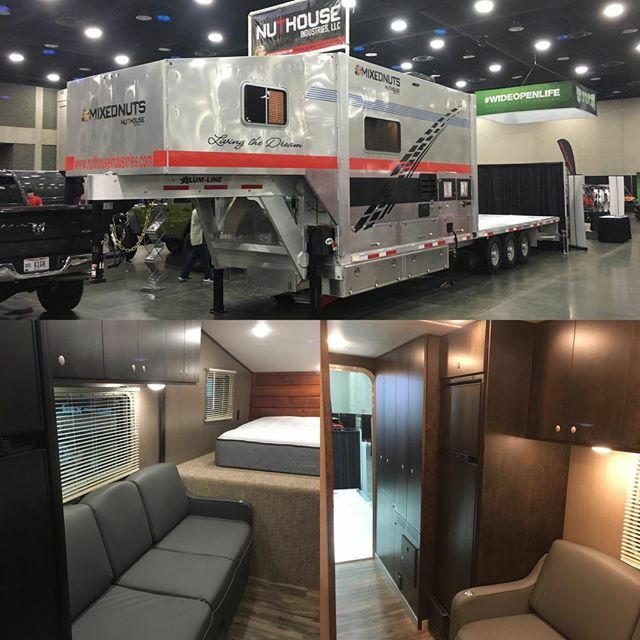 Dirt, mud, sand, water, dogs, and kids all threaten to damage your interior. 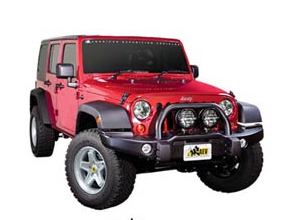 Protect your investment from both daily wear and off-road grime. 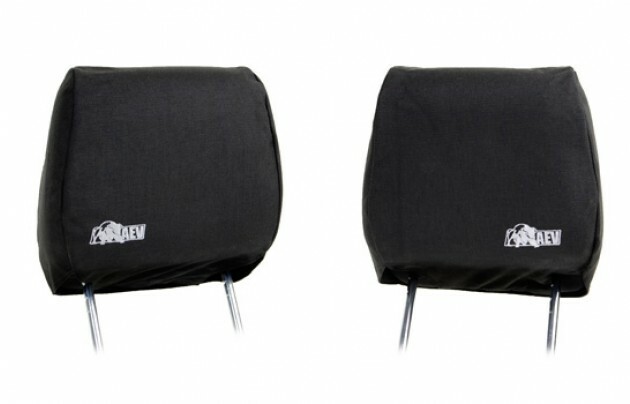 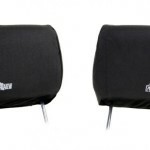 AEV CORDURA® Seat Covers will take a beating so your Jeep’s upholstery doesn’t have to. 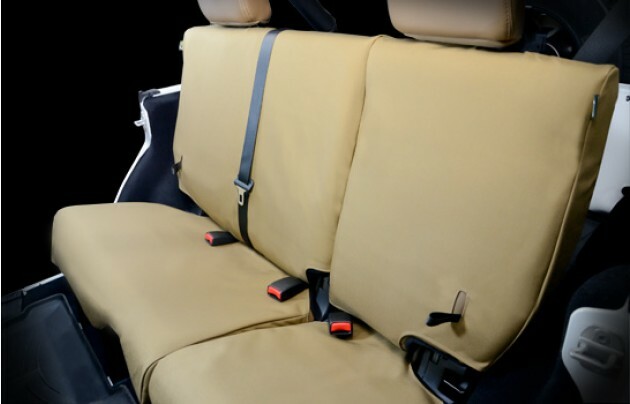 Take your interior to the next level with unique leather seats in three styles. 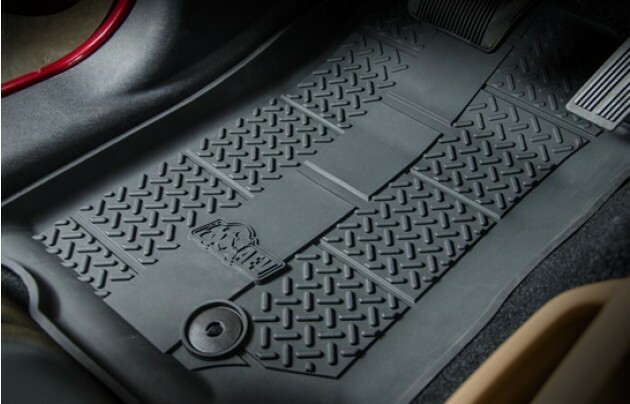 AEV Floor Liners and Cargo Liners are designed specifically for your 07+ JK Wrangler. 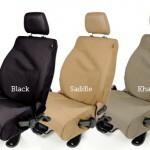 They provide superior all-weather protection, distinctive styling and easy clean out when the fun is over. 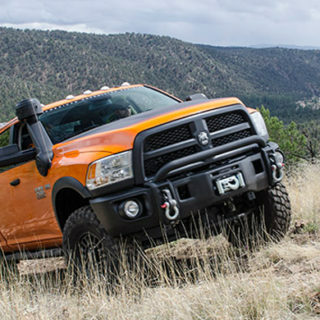 Dual Sport Suspension – AEV used an OE-level approach to suspension engineering, development and testing when designing the DualSport Suspension Systems. 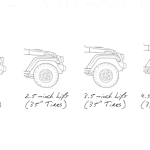 This resulted in a true dual-purpose suspension system that not only optimized the handling characteristics, ride quality, and load carrying capability of the Wrangler – but also provided the additional wheel travel necessary to conquer challenging obstacles off road. 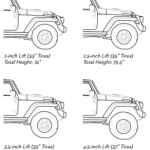 AEV offers a range of lift heights to suit your needs. 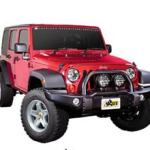 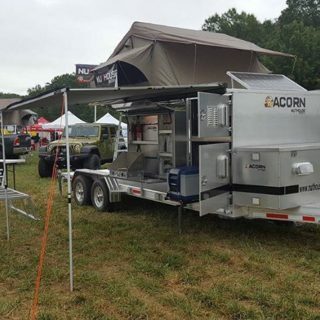 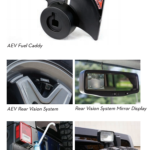 Depending on how you use your vehicle and the ease of entry you require, you can be sure AEV has you covered with the 2-inch Spacer Kit, 2.5-inch DualSport XT, or 3.5-inch DualSport SC Suspension Systems. 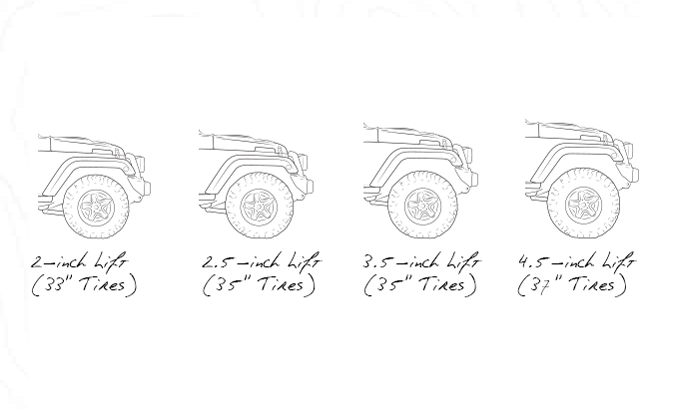 The optional 4.5-inch DualSport SC Suspension System rounds out the complete range of AEV engineered ride heights. 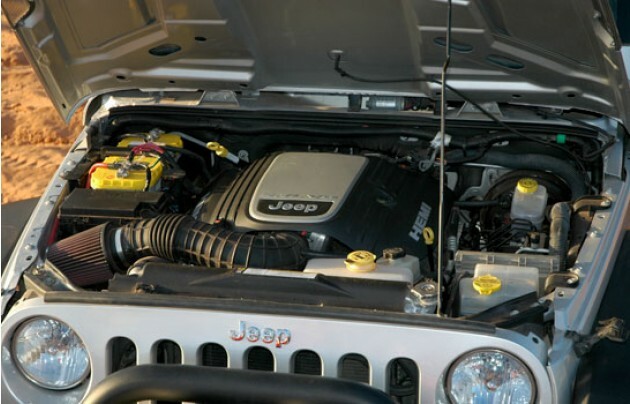 AEV’s Hemi V8 engine upgrade for your JK Wrangler will give your Jeep the additional power necessary to accomplish almost anything on or off road without sacrificing reliability or drivability. 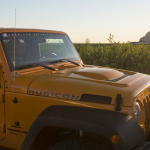 Whether you are off-roading or on the highway, an AEV 5.7L or 6.4L Hemi V8 engine upgrade is exactly what you need to unlock the true potential of your Jeep Wrangler. 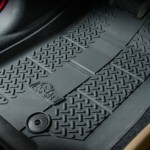 17" x 8.5", Bolt Pattern: 5×5, Offset: +10mm, Approximate Backspacing: 5.2"